Often after undergoing vision correction surgery, our Michigan LASIK surgery patients as well as our cataracts patients are so excited that they have gained new-found freedom from having to wear glasses and contact lenses, that they inquire about our elective cosmetic procedures that are performed to beautify the area around the eyes and reduce obvious signs of aging, such as eye wrinkles, crow’s feet and glaberall lines. In fact, because Botox is used to restore youthfulness around the eyes, it is best administered by eye doctors because they already understand the area around the eyes, and are therefore able to deliver the best possible Botox results. Botox is an injectable subs tance manufactured by Allergan. It is comprised of purified botulinum toxin type A that works to block signals to muscles for movement. In short, Botox reduces muscle activity, thereby reducing the formation of wrinkles. The results of Botox generally last about three months. 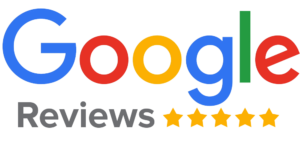 Dr. Hakimzadeh is a licensed Botox physician and has successfully administered Botox to countless patients from Rochester, Troy and Sterling Heights. Botox is administered by Dr. Hakimzadeh at our Rochester Hills eye care clinic. The treatment time takes less than an hour, after which you are free to go home. To administer Botox, Dr. Hakimzadeh will first talk to you about your aesthetic concerns and mark the areas where Botox will be injected. Then she will gently apply a topical numbing agent so that you don’t feel any discomfort during treatment. After this is accomplished, Botox is injected is specific areas, smoothly and in specific dosages to achieve the best results possible. 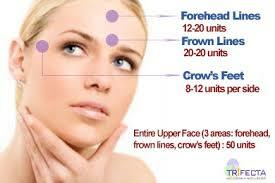 Botox does not require any downtime; you are free to go about your daily routine right away. Results are generally visible within a few days and some patients may experience mild soreness at the injection site. Dr. Hakimzadeh will determine your candidacy for Botox based on your medical history and allergic reactions. Botox can cause an allergic reaction in some patients; therefore, if you have a history of allergies to certain chemicals, you may be a better candidate for facial fillers. Please visit our facial fillers page for more information, otherwise, please call us to schedule your Botox consultation and find out if you are a good candidate.